Stir Fried gave a beautiful summary - It’s more common than you think for tournament winners to lose early in the next tournament - It’s even more common in the women’s game. Top ten players win the bulk of tournaments and generally have no trouble at all backing up. The fact that Kyrgios is incredibly inconsistent probably has more to do with it. Nah. Top ten players dont play every week and in most weeks there are two to four tournaments. And many who win tournaments are outside the top. For example, Tsitipas who was runner up to Federer last week in Dubai lost first round at Indian Wells. We all know that Kyrgios is inconsistent. So you use Tsipitas as an example for a player winning a tournament and then going out first round in the following tournament but he was runners up? What is being discussed are players winning tournaments and then losing early happens more commonly than expected. You display a limited understanding of elements of tennis. I understand what we are discussing. You are just giving no evidence of it! Follow the results of every tournament and you will see the evidence. It happens for a variety of reasons such as tight travelling schedule in back to back tournaments, player suffering a letdown or jumping in class from a 250 tournament to a 5 00 or 1000 tournament. 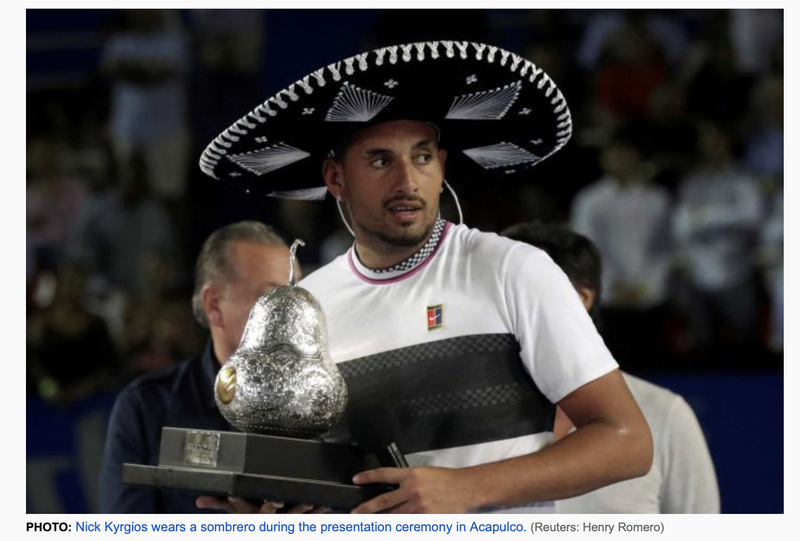 Class wasn’t a factor in this occasion because Kyrgios is twice the player. The surface for me was a bigger factor and also Nick looked like he had no interest. The only emotion he showed throughout the game was when he smashed his racket. Very unusual for Nick indeed. No one went with WHATEVER IT TACOS? Tacos or leave it, we leave it. Have to give Kohlschreiber credit, in amazing form at the moment. 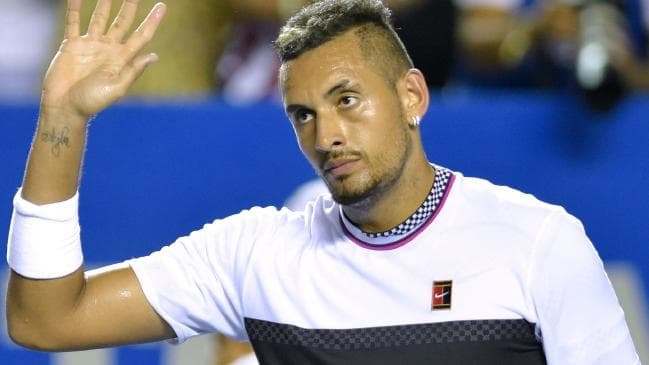 Nick Kyrgios has claimed it is not fair that Novak Djokovic has largely escaped scrutiny for his shock third round loss to Philipp Kohlschreiber at Indian Wells. And this was Joker’s first match since winning the Aussie Open. The curse strikes again. Thiem wins Indian Wells, beating Federer 7-5 in the third set. Was very aggressive from the start and won the critical points. Europe owns men’s tennis like we used to 50 years ago. Thiem wins last week and out in his first match this week.